When I first began teaching, the arts were part of elementary school students' daily curriculum. Tight budgets, high stakes testing, and a heavy focus on literacy, science, and math have brought an end to that. These days, teachers tend to incorporate the arts around the holidays or when there is "extra time." But the abandoned arts can help students to master Common Core standards: enhancing creativity, increasing self-confidence, promoting collaboration, and offering alternative way to assess learning. Encourage speaking, listening, and vocabulary development skills. I start the year off by introducing elements of lines, color, and shape. Connecting spoken words (zigzag, sculpture, portrait, etc.) with a visual model helps students grasp new vocabulary. Students share their work and practice their presentation skills. Clarify thoughts, ideas, and feelings by drawing and labeling. Art is particularly powerful when it allows students to communicate learning when they cannot express it through writing. Examples below show my English Learners and students with special needs making connections to historical figures (Martin Luther King, Jr, & Cesar Chavez) and each other through drawings and spoken words. Their work provides evidence that they were able to effectively communicate with each other to understand and complete the assignment. Go deeper in units of study. Students can integrate and retain what they are learning in all areas when they have opportunities to create relevant artifacts. For example, when studying the life of Cesar Chavez, my students illustrated different crops. In science, they made models of a flower to better understand each of its parts. Students painted the space shuttle Endeavour after we had studied and observed it flying over our school. Encourage role playing. Students are able to better understand a story, character, or event if they are able to physically act it out. Listening, speaking, reading, and writing are part of the process, but all students can participate. For English learners, I use pictures and retell the story orally, while they act it out physically. Students can work collaboratively to write their own stories and act them out for friends. Take turns in the "hot seat" to understand character. Students take on the role of a character (fictional or real) and sit in the "hot seat," where they answer the questions of a curious public. Students ask the wolf, "Why did you eat the little pigs?" They question Ruby Bridges, "Were you scared when people yelled at you when you walked to school each day?" Create a tableau. Even young students can develop a still, silent performance from a scene in a story or representing an event in text, developing a fuller understanding about life and literature. Challenge students to create letter and number forms. Can you name the letters being represented below? Movement and Freeze. This is a fun and simple way to incorporate dance movements (skip, twirl, gallop, etc.) as students learn about historical figures, characters, and events. At 1:32 of this video, my students dance and freeze in positions related to the life of Jackie Robinson. After reading about historical figures, students create shapes that represent them. Sing the concepts. Want to teach students to clean up, learn grammar, or grasp math facts? Go for it. We sing for clean up, to learn grammar, and math facts too. There are songs for nearly every concept you want to teach. You can make up a song using a familiar tune, or find one online. Songs help students learn and retain information, develops listening skills, and teach tone, beat, and rhythm. Singing songs and rhymes teaches English learners how language is constructed and helps with acquisition of English. Create opportunities for students to perform. Want magic? Bring students on stage. Students can make learning public by presenting to an audience, whether informal (another class) or formal (parents and community). Self-confidence and accomplishment tend to beat nerves during a performance. Occasionally, students who will not speak or participate in class will rise to the occasion on stage, surprising everyone with their ability to present what they have learned. As a teacher of diverse learners and a parent of a child with special needs, I understand that we must provide different pathways for students to demonstrate what they know: reading, writing, speaking, singing, dancing, drawing, and other formats. Incorporating the arts helps ensure that the needs of different types of learners are met. To see lots of wonderful examples of other teachers integrating the arts in their classrooms, check out the library of Teaching Channel Arts videos. How do you integrate the arts in your classroom? 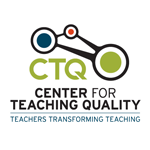 Center for Teaching Quality is writing a series of blogs in partnership with Teaching Channel. CTQ is transforming the teaching profession through the bold ideas and expert practices of teacher leaders. Jane Fung is a National Board Certified Teacher in urban Los Angeles, where she currently teaches 1st grade. She serves on the board of the National Commission on Teaching and America's Future, and she is an active member of Accomplished California Teachers, Milken Educator Network, and the Center for Teaching Quality’s Collaboratory. Jane has a master’s degree in curriculum and instruction and 25 years of teaching experience. I often feel it is difficult to include arts into everyday curriculum but after looking at your suggestions, it does not seem too difficult! I like your idea about including music into teaching. In Kindergarten students learn information such as days of the week and the months of the year through songs that are sung daily. My first grade students understand money amounts because of the song “penny, penny, easily spent.” I do believe that students learn facts and concepts through music. Thank you for your ideas! The arts is a very touchy subject focus schools. We are so busy walking to read, walking to interventions; math and reading the new curriculum has become math, writing and reading while abandoning science and the arts. This has broken my heart because as you has said, there are so many areas enhanced by the use of creativity, increasing self-confidence, promoting collaboration, and offering alternative way to assess learning. the problem is that the administrators are not convinced of the value of the arts. It saddens me because I know it broadens a vocabulary rich environment and fosters deeper understanding and student growth. What great ideas! Another way I found to introduce the elements of art is through The Minnesota Institute of Arts website. This website has a section called Artists’ Tool Kit. This section provided videos to teach the visual elements and principles of art (color, space, shape, balance, and movement & rhythm) to students. Love the different examples you have given to integrate arts within the classroom. I really like your idea of the students using their bodies to create letters and numbers. I feel movement really helps students retain the information being learned. I will definitely be using these ideas in my own classroom! :) THANKS!